The late Abdul Sattar Edhi is remembered for his selfless services rendered to humanity. He rose above the considerations of color, caste and creed to serve poor and downtrodden. The late Abdul Sattar Edhi laid down the norms of charity and welfare for which he was duly acknowledged the world over. The great philanthropist was among the first ones in Pakistan to help the destitute when it was needed; In recognition of the services rendered by the late Abdul Sattar Edhi, the Federal Government has Issued Commemorative Coin of Rs 50 on 31st March 2017 as a small token of appreciation for his extraordinary work spanning over several decades. 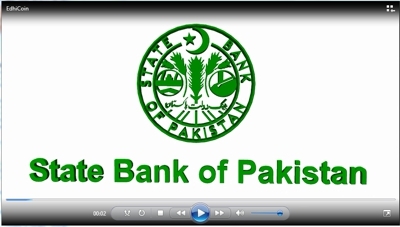 A ceremony was held to unveil the coin on Friday, 31st March, 2017 at the premises of the State Bank of Pakistan in Karachi. Mr. Faisal Edhi, son of the late Abdul Sattar Edhi, also attended the ceremony. Governor State Bank Mr. Ashraf Mahmood Wathra presented the commemorative coin to Faisal Edhi. Governor SBP paid tribute to the late Abdul Sattar Edhi. He informed the audience that Pakistan had issued only five commemorative coins highlighting personalities including Quaid-e-Azam Muhammad Ali Jinnah, Allama Iqbal, Mother of the Nation Mohtarma Fatima Jinnah, Mohtarma Benazir Bhutto Shaheed, and now Abdus Sattar Edhi. Edhi is the only social worker who has been honoured with a commemorative coin, he said. He said that in July 2016, the State Bank had organized a condolence gathering to pay homage to Edhi, where the commemorative coin announcement was made. On the recommendation of the State Bank, the Prime Minister had decided to issue a coin to commemorate Edhi’s services on the national level. The wide scope of Edhi Foundation’s services reflects the late philanthropist’s deep insight into various social issues, he said, adding that in rendering his services Edhi made no distinctions of geographical limits, colour, race, nationality and religion. The best way to pay tribute to Edhi Sahib is to espouse his cause and cooperate in all philanthropic activities. Mr. Faisal Edhi thanked the SBP and the Government of Pakistan for issuing the coin commemorating Edhi’s services to the humanity. He said that Abdus Sattar Edhi would remain alive in the hearts of the nation, his mission should continue forever for the benefit of people. The ceremony began with Mr. Abid Qamar, Chief Spokesperson of the SBP, welcoming the participants. Mr. Qamar told the audience that issuance of commemorative coins started on the birth centenary of Quaid-e-Azam Muhammad Ali Jinnah when three coins were issued. Twenty-seven coins commemorating various personalities and occasion have been issued, including 100th and 150th anniversaries of Islamia College Peshawar and Lawrence College. He informed the audience that commemorative coins would be available from today at SBP field offices throughout the country. The ceremony was attended by Deputy Governor Mr. Riaz Riazuddin, Managing Director SBP BSC Mr. Qasim Nawaz, other senior officers of the Bank and Edhi Foundation volunteers.